For over 20 years we have fabricated all sorts of canvas & cushion work throughout the Cape May County and Southern New Jersey area. From the largest yacht to the smallest dinghy. Offering all kinds of repairs and replacements imaginable. 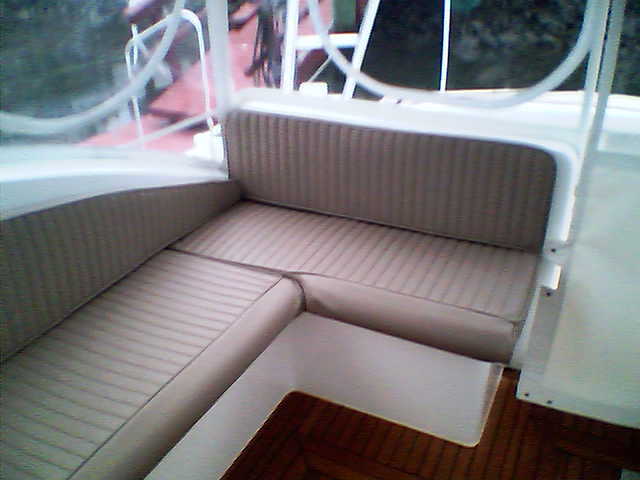 Day covers, Mooring covers, Sunshades, Bimini Tops, Enclosures, all custom covers, all cushions, and all repairs. We are Licensed & Insured, and offer such products as Stamoid, Sumbrella, Strataglass, Makrolon Polycarbonate, Herculite Weblon, Riviera Marine Fabrics and other fine products. Our service is available throughout the Southern New Jersey area. Whether we come to you, or you visit our shop to pick out your custom design you can be assured of professional service and quality workmanship. WE INSTALL DOCKSIDE ... OR ON LAND. 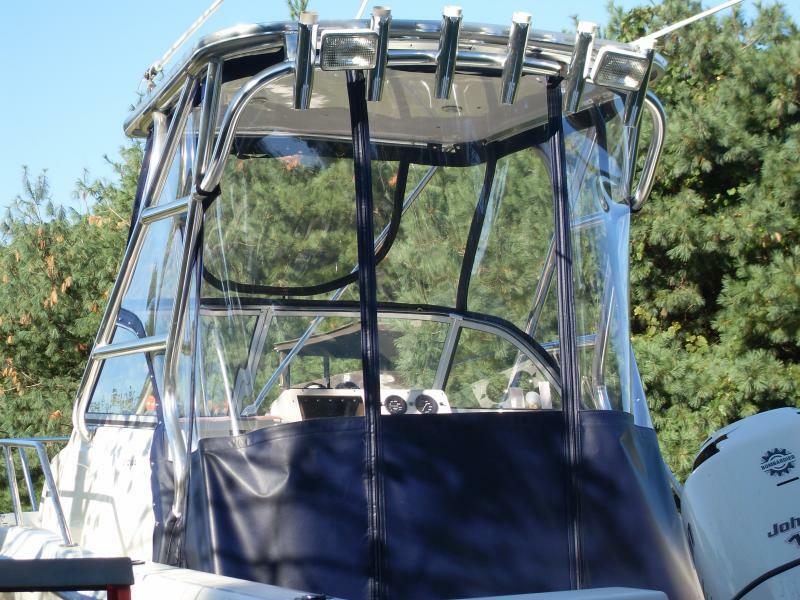 For: Day covers, Mooring covers, and ALL BOAT COVERS Sunshades, Lace On Tops, Bimini Tops, Enclosures, Cockpit Fly, Dodgers, Sail covers, Helm covers, Center Console Enclosures with wings & side panels, Console covers, Camper backs, all types of custom covers, all Cushions, Combing pads & bolsters, all repairs and re-glassing. We offer hard glass (polycarbonate), standard soft glass or Strataglass.